As a boy growing up during World War Two in the east of England, we saw many things that at the time we did not consider important, but looking back to that time, we now realise would never be repeated. The British government, during the first years of the war, saw the need for bomber bases that were able to reach into Germany. They built quite a number of these bases throughout the county of Lincolnshire which was situated on the east coast of England. By the end of 1942, some 25 bases had been established, 15 of which were within a thirty mile radius of our home. 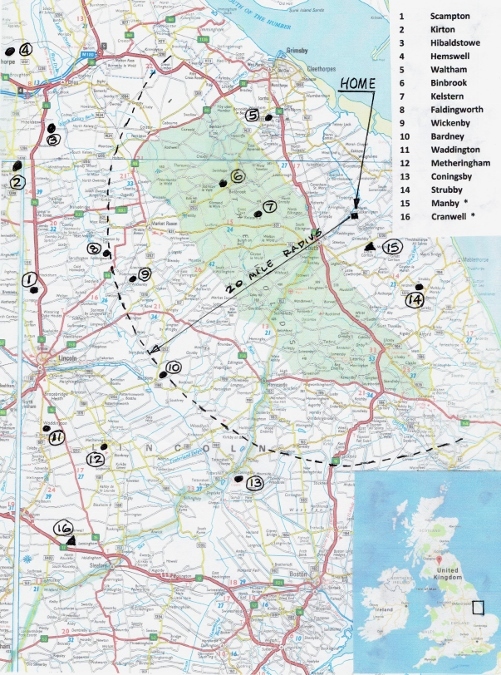 (see map) In addition, within this radius were two large airfields built as Air Training bases, Cranwell and Manby, the latter being within three miles of my home. As this placed us almost within Manby airfield circuit pattern, we became extremely familiar with every plane operated by the RAF as they flew endlessly over us. Spitfires, Hurricanes, Lancaster bombers, Mosquito fighters, and many others we soon could identify just by their sound. Fifty years later, this allowed me to instantly identify a Lancaster bomber approaching my home in St. George, Ontario in the late 1990’s before I could see it, when the Hamilton Warbirds took their newly rebuilt Avro Lancaster for its first flight. When this plane flew to England in 2014 and toured with the only other airworthy Lancaster in the world, they spent time at several of these old bomber bases, Waddington near Lincoln and Cranwell, ten miles further south and now surviving as one of the RAF’s major training colleges. I remember several times during the latter part of the war, seeing the evening sky filled with hundreds of Lancaster bombers massing from all these bases, fully loaded for their attack into the heart of Germany and heading for the coast on one of their “thousand bomber raids”. Many times over the years have I wished that I had had a camera to record this never to be seen again sight that is still etched in my memory. Frequently we would be wakened in the early hours of the morning as, one by one they straggled back, some fighting to stay airborne until they reached their home base, their engine noise sounding much different than when they had departed hours earlier burdened down with their bomb load. 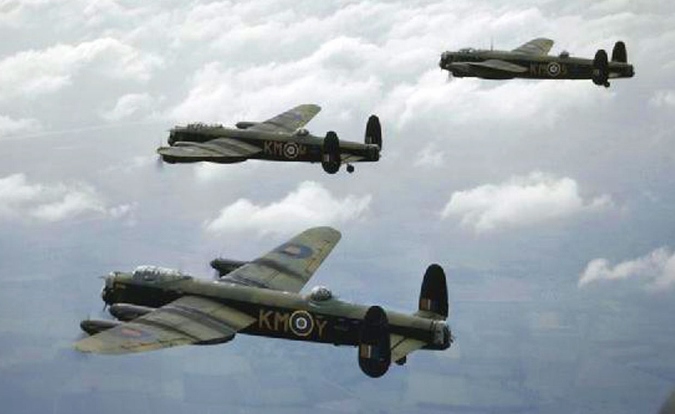 Losses were high, and one base about fifteen miles from us recorded the loss of around 140 Lancasters from their field alone during this period. Scampton, the base immediately north of the city of Lincoln, housed the squadron of Lancasters that achieved fame for their daring raid to destroy the dams at Essen, and earning the name “Dambusters”. 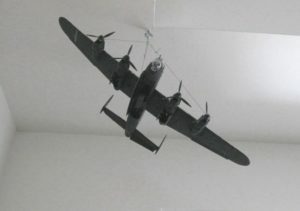 When I served my engineering apprenticeship in Lincoln from 1947 to 1952, some of the pubs we frequented had signed photos on the walls of many of the dambuster crews who had been regular customers, and we heard many tales from the bar keepers of their “exploits” while unwinding in town. 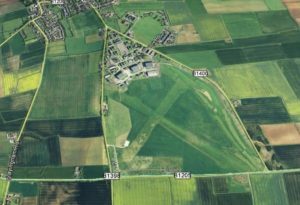 Most of these airfields were closed after the war’s end, but the outlines of the runways from which the bombers flew can still be identified in most. Satellite photos clearly show these runways, some still with weed filled concrete surfaces, but most just as outlines showing in the disturbed earth that they were there, a memento to the time when the sleepy farm country in Lincolnshire was anything but. From 1947 to 1952, I served an engineering apprenticeship with Ruston & Hornsby Ltd., a major manufacturer of diesel engines. My last year was spent at the Anchor Street plant, (one of five plants the company had in Lincoln, England) where the newly formed gas turbine division was housed. There, I worked in the tool room, followed by six months in the tool design office. Spending one year as tool designer there after my apprenticeship, I then moved to Canada to work as a tool engineer at the jet engine plant of Avro. Here, the Orenda engines for the CF100 fighter were built, and the huge Iroquois engine was being developed for the new supersonic delta wing fighter, CF105, under development at Avro’s nearby aircraft plant. In 1946, the Ruston & Hornsby board decided that the future of industrial power would be with the use of jet engines, the first of which had been developed by Frank Whittle and his team during World War 2 and successfully applied to power an aircraft. The company recruited one of Whittle’s top engineers, Bob Fielden, to head up a new division to develop and produce an industrial gas turbine. Introducing kinematic design concepts to enable the product to withstand rapid changes in load and temperature without deformation or failure, and with a start up time goal of one minute for the engine, work was begun. When I was transferred to that plant, prototypes were already under test and tooling preparation was underway for production of the TA turbine. This engine was coupled to a 750 kw generator (approx. 1,000 hp) and was marketed for use in remote arid areas ( eg. Pipeline pumping) where a variety of basic fuels could be used. Development was not without problems, of course, and I remember one day hearing the gas turbine engine whine, which was commonly in the background of our hearing, suddenly increase in volume and pitch. It kept climbing to everyone’s alarm until suddenly it was stopped by a large explosion. Rushing to the test pit area, we found that one of the turbines had sped out of control until the generator rotor flew apart and seized the drive shaft. The sudden stop resulted in the turbine blade rotors disintegrating, destroying the engine. It turned out that a drain in one of the burner housings had plugged and unspent fuel had accumulated and suddenly ignited, increasing the temperature and speeding up the turbine. Unable to stop it, the test engineers hurriedly ran to safety and had to watch, helplessly, the destruction of the engine. Needless to say, a design modification cured the potential for any repeat. The TA sold successfully in substantial quantities and today, with the diesel engine production long gone, the gas turbine division is the only part of the once huge company remaining. Larger and larger turbines have been developed over the following fifty years until the largest ones now in production have a capacity for 50 MW (approx. 55,000 hp). First produced under the name Ruston Gas Turbine, the operation is now, after several changes in ownership, the gas turbine division of Siemens, a huge power generation conglomerate. 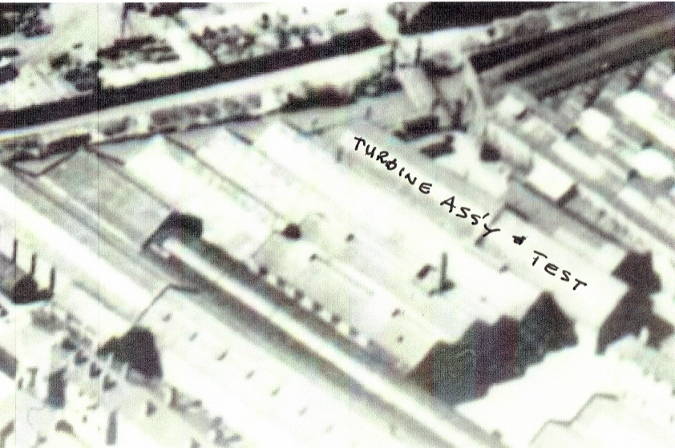 Production occupies what was formerly the main diesel engine plant in Lincoln. The Anchor Street plant where it began life was razed some years ago and is now the site of a housing development.